It's been almost a year since we first featured local Chicago maker, Attalie Dexter of Shades of Grey, in our Behind The Brand Series. 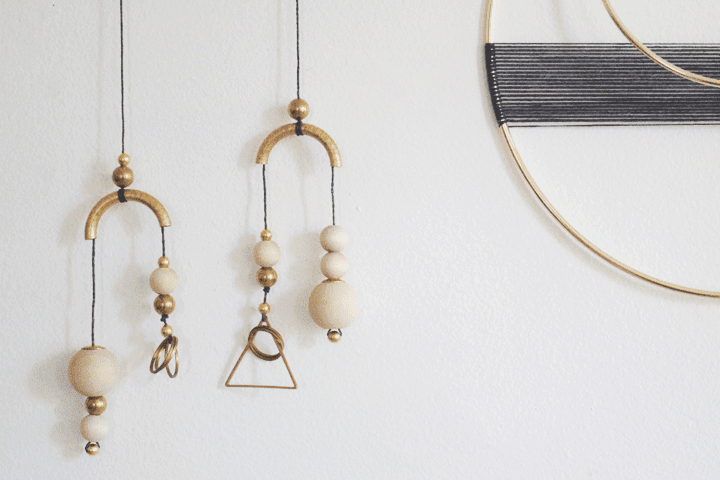 This past year has been such a busy and exciting one for Attalie as she's grown her line of one-of-a-kind jewelry and added a collection of home accessories that we absolutely adore. 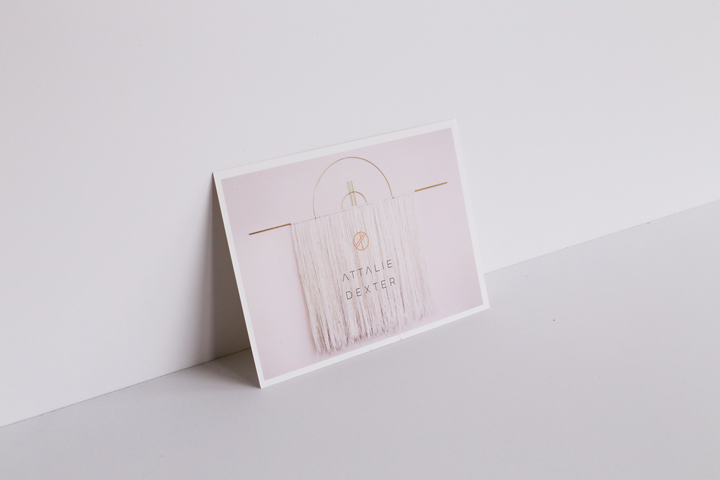 Recently Attalie worked with designer Kati Forner to create a whole new look for her brand and this month she's relaunching under a new name. With an ever changing collection of jewelry, a variety of unique wall hangings, and an expansion of more home accessories in the near future, we'd like to (re)introduce you to Attalie Dexter Home + Accessories! 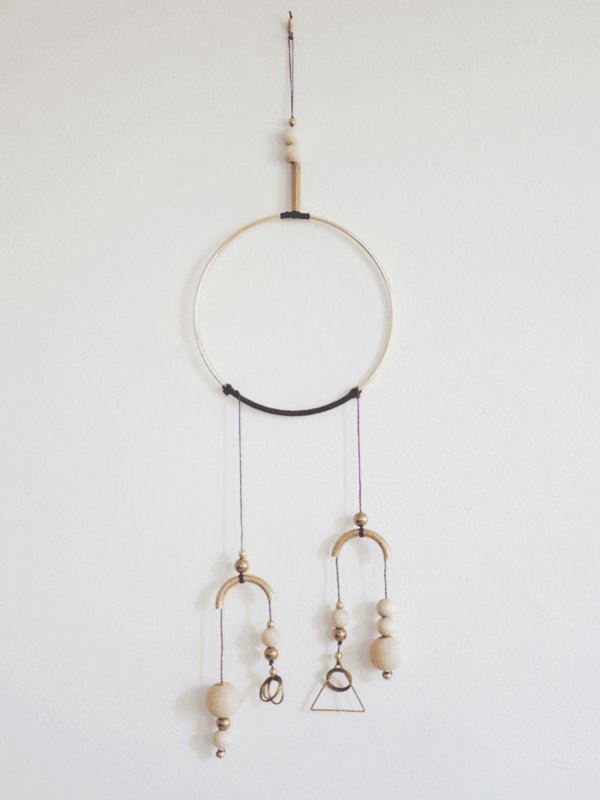 To celebrate the relaunch, Attalie is giving away a Mixed Media Mobile to one lucky F+M reader! Step Three // Leave a comment below (include your email address please!) telling us which piece from her current collection is your favorite. Step Four // Cross your fingers. Winner will be contacted on Monday, May 25th. Good luck! Along with the wall hanging giveaway, Attalie is sharing an exclusive gift with purchase for all you F+M readers. 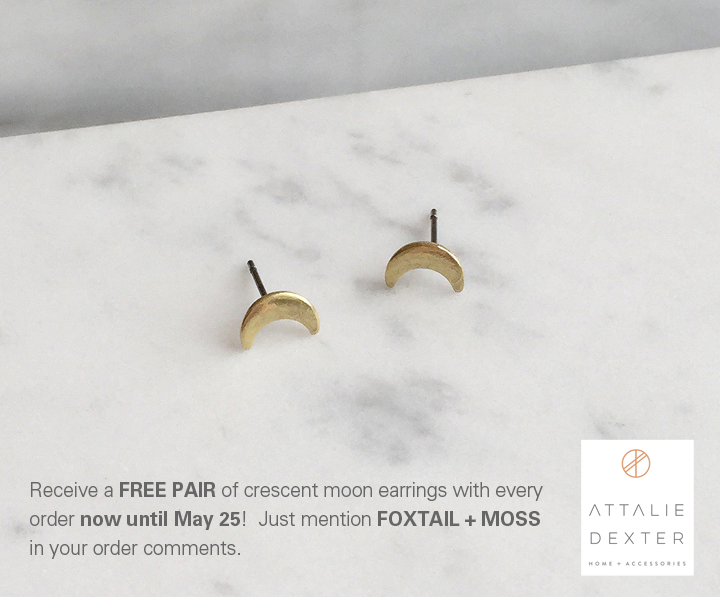 Purchase any item on Attalie Dexter Home + Accessories and receive a FREE pair of crescent moon earrings. Just mention Foxtail + Moss in your order comments. It's that simple! Promotion valid thru Monday, May 25. Make sure you stay tuned and follow FOXTAIL + MOSS on Facebook and Instagram. We have more surprises for you later in the week! It's so hard to pick just one thing... I reeeeally really really love the oversized cashmere wall hanging. I just moved into a new apartment and could use some wall swag!! 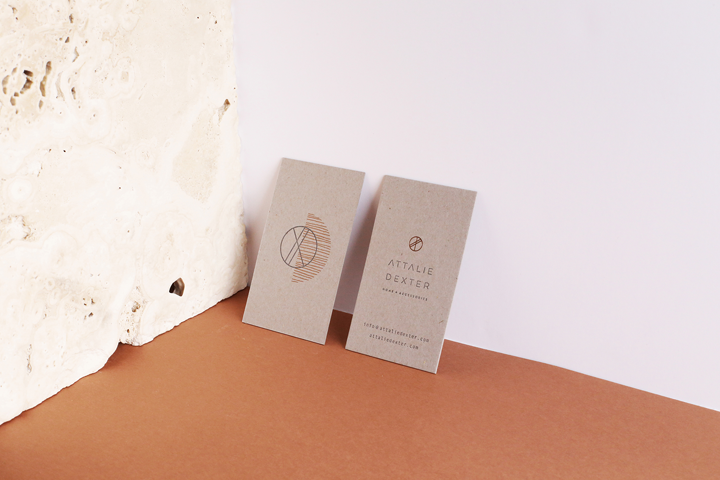 I absolutely love Attalie Dexter's contemporary neutrality and playfulness with lines and textures. This collection is full of gorgeous pieces that can give any room a unique flair of modern art and that je ne sais quoi to make you swoon! My favorite piece in this collection is the vertical fringed wall hanging, but the large double brass circle with white fringe is a very close second! What can I say?.....this girl loves fringe! attalie is definitely one of the sweetest, most talented people! love her whole aesthetic! that mixed media hanging would be perfect in our future baby's room (due in august)!! so beautiful! Congratulations Annie! This lovely wall hanging is all yours. We'll be contacting you shortly to get your shipping info. I love everything Attalie makes. 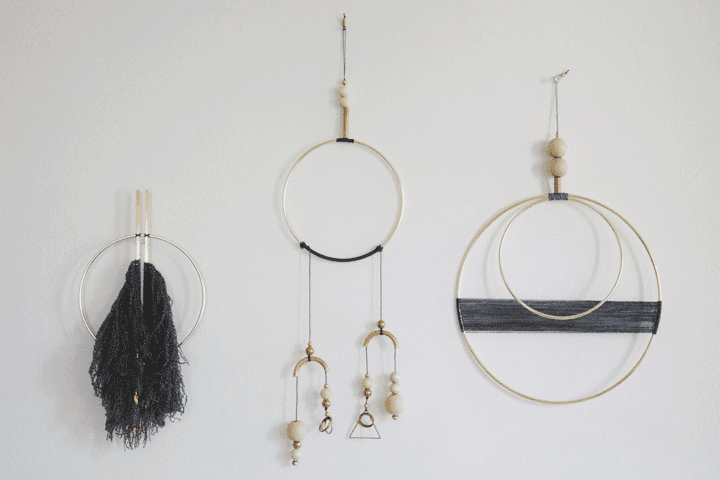 I own several pieces of her jewlrey and I've been eyeing the Sunrise Circle with Horizontal Fringe wall hanging. Keep making, Attalie, and congrats on your re-launch!